Watermelon seeds are very healthy and beneficial for our health, even though many of us ignore this fact and do not give it too much attention. We consider that now is a good moment to remind ourselves what watermelon brings us, because it is almost daily present in our menu during the summer months. How should we prepare watermelon seeds? Surely you sometimes accidentally swallow watermelon seeds during consumption, and there are those who intentionally do it. In both cases, it will not make any problems or damage, because the watermelon pits just slip through your digestive tract and will contribute to better digestion. If you thought this is our advice - to swallow watermelon seeds, you made a mistake, because by only swallowing we do not use their useful ingredients. Only with their cooking, grinding and frying we come across to its valuable content. Watermelon seeds are rich in dietary fibre that regulate the normal functioning of the digestive tract, clean parasites in the intestines, help with dropsy, jaundice and inflammation and infection in organism. Also, seeds of watermelon contain citrulline – a substance which is proved to be a very good antioxidant that brings multiple benefits for your health and its ingredients have a beneficial effect on the human body when it comes to many health problems and difficult conditions, some of them are: atherosclerosis-because citrulline accelerates to expand blood vessels, high blood pressure, angina and erectile dysfunction. In homeopathy seeds are mentioned for almost 100 years and are known for their outstanding effect on kidney and urinary infection. They also contain vitamins C, B and A, calcium, iron, magnesium, potassium, manganese, niacin and healthy monounsaturated fats. Holists and homeopaths particularly recommended tea from watermelon seeds, which have an excellent effect on urinary tract infections because they clean sand in the kidneys, secrete and expel smaller stones and soothe inflammation of the bladder. Four tablespoons of fresh seeds of watermelon chop or mash in the mill, and delivered them into 2 litres of water and cook for another 15 minutes. Remove from the heat and the evenly distribute the liquid so you have it for 2 days. On a third day make a break, and then again prepare a new tea. The treatment with this tea needs to be practiced at least few weeks until the symptoms subside, do not forget to apply the rule 2:1. Insert the watermelon seeds in the pot with the water to cook and allow it 10 minutes to boil. Remove from the stove and strain the liquid and pour in other appropriate container. When the liquid slightly cools place it in the fridge. Use this beverage in various ways - make juice, multivitamin drink, lemonade and you can drink it independently. The appearance of juice is not exactly the most beautiful, because it is quite blurry, so we would say that it does not promise a lot, but joke aside taste is quite neutral and drinking it should not presents any problems. Make an effort to collect and dry the seeds of a watermelon during this period so you could make this beverage during winter. This is a very similar recipe as the previous two and it is used to treat inflamed prostate, which is today one of the most common diseases in men older than 40 years. 2 tablespoons of dried and then crushed watermelon seeds cover with 1/2 litres of boiling water and let it stand 30 minutes. After that, immediately drink the tea from watermelon seeds and apply this treatment the next few weeks. After 10 days you will feel the improvement, aching abdominal pressure will slowly disappear and soon you will be like new. We hope that some of the recipes that we gave in this article will contribute to your better health and that you will be sure to try them in practice, because they are extremely simple to make. The watermelon has long been known that in the addition to its fine taste it offers a lot more, and it is primarily related to medicinal seeds. 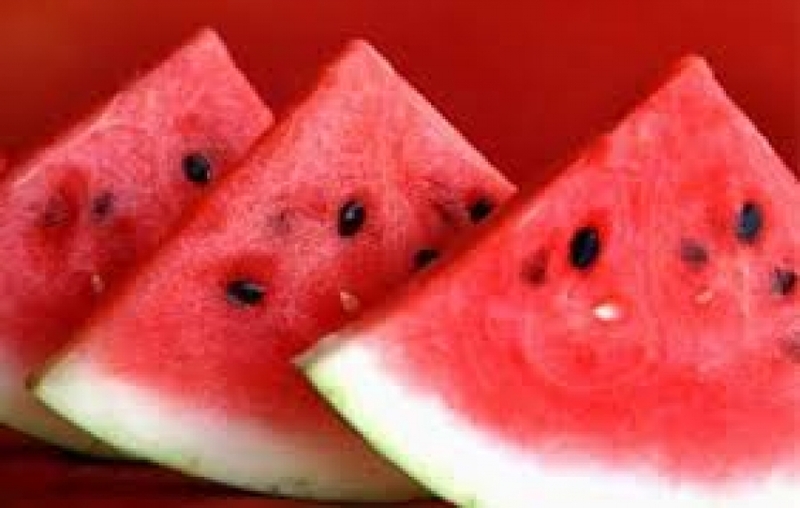 Many have positive experiences with them and well-known international portals of alternative medicine state that the seeds of watermelon strengthen the heart, keep the pressure under control, contribute to a better glow and the tension of the facial skin, good for potency, and is even recommended to patients with diabetes. It is getting more recommended to bite black dry melon seeds, like nibbling the seeds of pumpkin. After drying you need to bake them in the oven for 25 minutes at a medium temperature. A solution of water and salt should be added to watermelon seeds during the firing (1 tablespoon salt and 2 dl of water) and you will get an excellent and tasty snack. So our advice is that you do not reject watermelon seeds when it comes to your healt! Read the article watermelon diet.